With the Wilson 20-game suspension and the Oshie injury, the Capitals top-6 have played for a total of four periods together this season. It looks like Andre Burakovsky will be scratched for a second consecutive game. Chandler Stephenson also looks to be a healthy scratch. Christian Djoos has had surgery on his thigh. Djoos was injured on December 11 against Detroit. He’s going to be out indefinitely. 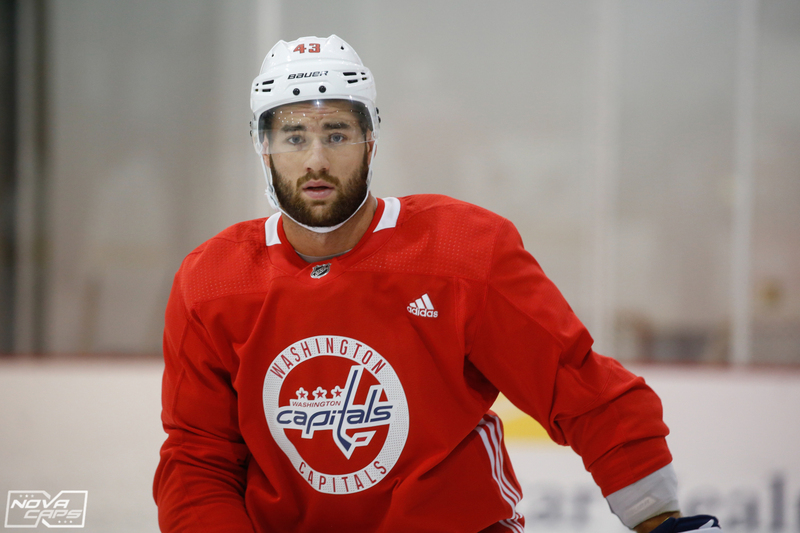 Braden Holtby will get the start tonight in Raleigh, and Pheonix Copley will get the start tomorrow at Capital One Arena when the Caps host the Sabres. The Hurricanes returned to Raleigh late last night/this morning after a 6-4 loss to the Canadiens in Montreal. Therefor, it’s unlikely they will hold any game day skate, and much news will come from the Canes camp today. Jonas Siegenthaler, who’s time is now, considering the Djoos injury, led the final stretches.
.@josieg97 leads the stretch and the boys are ready for action. The Capitals face the Carolina Hurricanes at PNC Arena tonight in the first of four meetings between the teams this season. The Capitals are 94-54-14-8 all-time against the Hurricanes and 43-28-10-4 against at PNC Arena. This entry was posted in News and tagged Carolina Hurricanes, Christian Djoos, Tom Wilson. Bookmark the permalink. I didn’t know Djoos got hurt and had surgery. Same, and it sounds fairly serious. Caps aren’t ready to call it season-ending, yet.